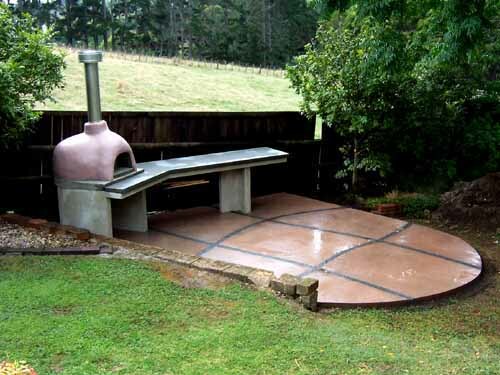 Clients were wanting an outdoor pizza entertainment area with curved, non-angular elements. A stand alone entertainment area was created retaining the open feel of the rural surroundings. Organic lines were incorporated as requested and colours were linked into existing paths around the house.